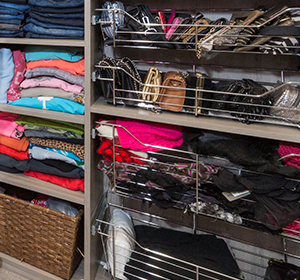 We offer baskets and bins of all types to fit your custom closet and other storage spaces. 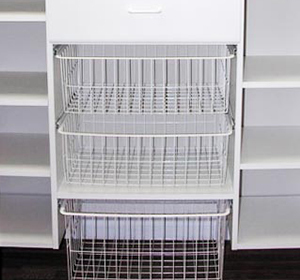 Durable wire baskets are ideal for garages and mudrooms and can hold anything from sports equipment and shoes to clothes and laundry items. 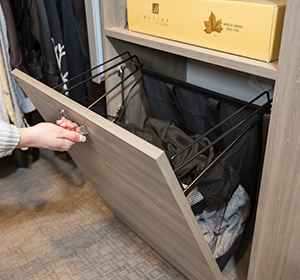 Pull-out, removable hampers are a convenient method for storing dirty clothes. Wicker baskets are an attractive alternative option for closets or kitchens. 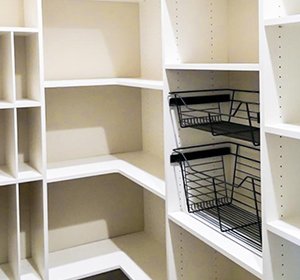 If there's a storage need, Beyond Storage has the solution. 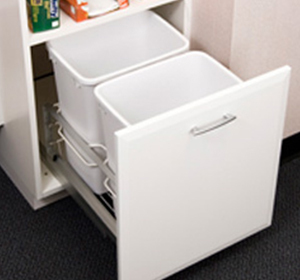 We also offer pull out wastebasket bins that make organizing trash and recycling easy. 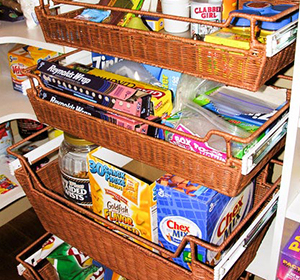 Our designers will work with you to find the perfect custom baskets and bins for your storage needs.